A “legacy” is someone who is related to an alumnus of a school. A legacy, in reference to the Parent and Family Connections Program, is a relative of a graduate. Legacy families are undergraduate students and alumni whose families, including parents, grandparents, aunts, uncles, siblings, and/or cousins attend or attended in the past. To take an example, if your grandmother graduated from Glassboro Normal School or Glassboro State College, you would be considered a Rowan University legacy. The Parent and Family Connections Program value the legacy status mainly for community-building and public relations reasons and to support the mission of the University. The belief is that when dependents of alumni are a part of the University’s community, those alumni are more likely to stay involved with Rowan by participating in reunions, attending Family Weekend and Homecoming, being professional mentors, and serving on committees/boards. We also believe that legacies will also be very active alumni due to their family connection with the University. In short, legacies not only keep alumni involved, but also ensure a new generation of active alumni. We are proud of the many generations of alumni who make the Rowan University experience part of their family tradition. 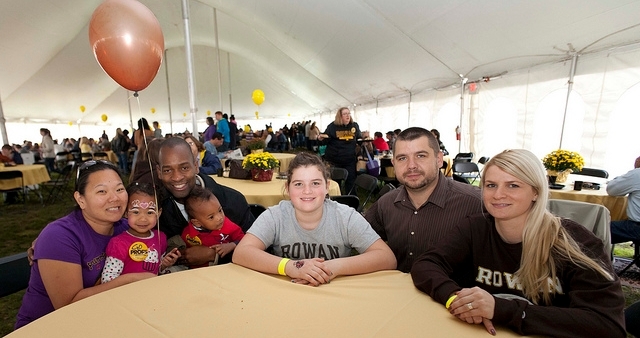 The legacy connection proudly recognizes those families who embrace the broader Rowan University family by bringing their relatives home to their alma mater. It also offers a chance to welcome both new legacy students and their alumni relative back home to share their reflections, words of encouragement, and strategies for success. A legacy is someone whose parents, grandparents, aunts, uncles, siblings, and/or cousins attends or attended Rowan before them. By filling out (this form) and emailing it to OPFC@rowan.edu the information you provide us can help inform creation of future events that will be legacy family specific. You can also voluntarily get involved by checking off that you'd like to participate in our Rowan Legacy Families video if you are interested!